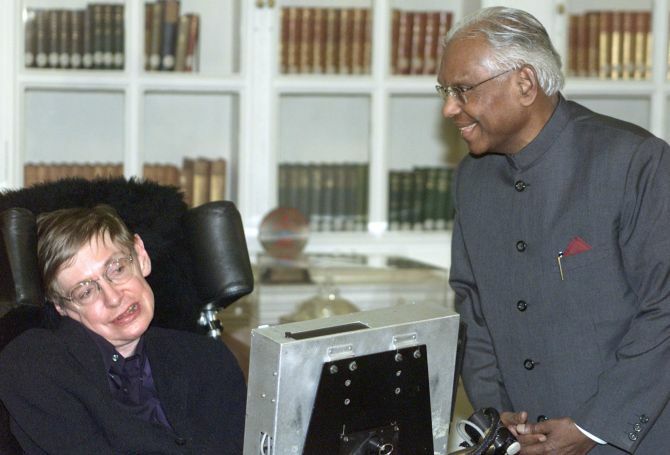 Prof Stephen Hawking visited India in January 2001 to attend an international conference in Mumbai titled 'Strings 2001' with other leading physicists from around the world. He also delivered a series of lectures on various scientific subjects. 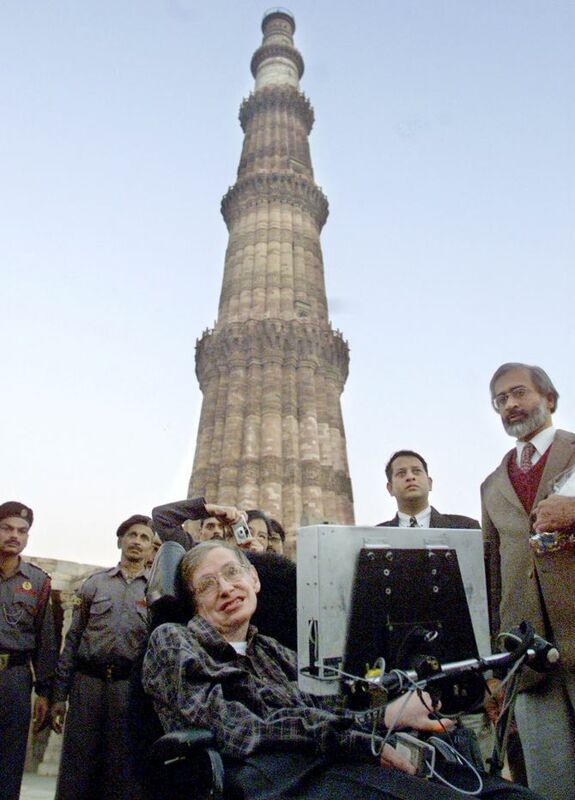 He visited Delhi to deliver the Albert Einstein Memorial Lecture 2001, 'Predicting the Future: From Astrology to Black Holes'. Here's a glimpse of the 16-day India visit of the 'world's best known scientist'. 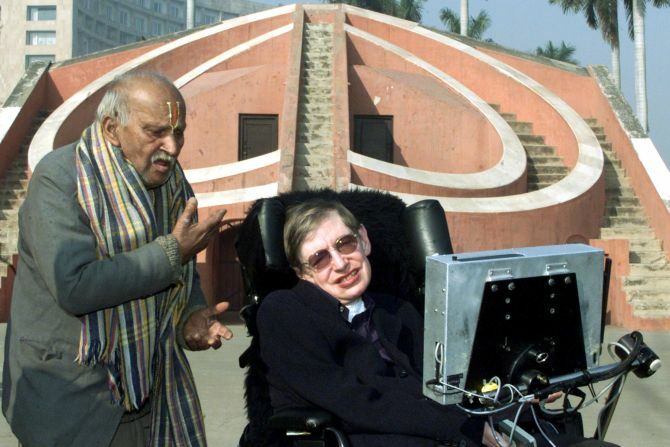 Prof Hawking, accompanied by his guide Prem Das, at Jantar Mantar. He was on a sight-seeing tour of New Delhi. At the Qutab Minar. 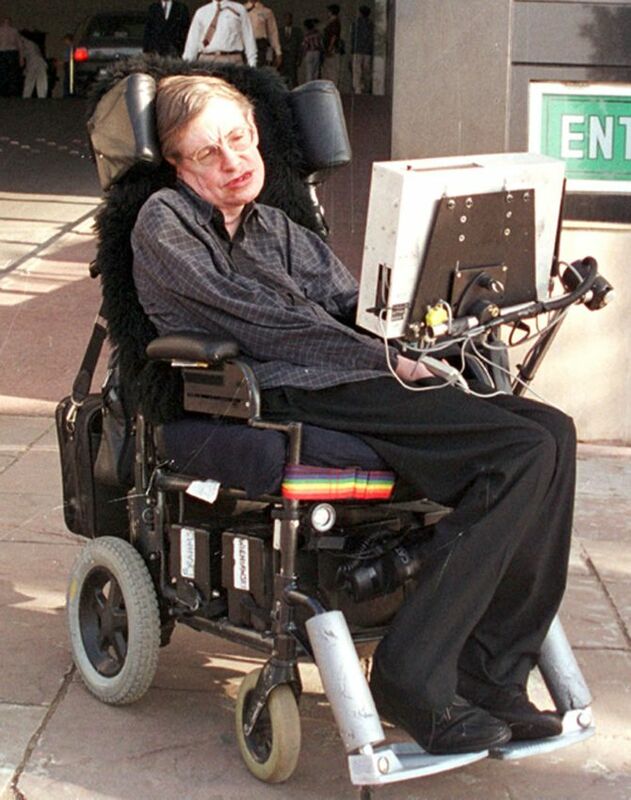 Hawking was accompanied by his wife Elaine (his former nurse whom he married after he was separated from his first wife Jane), four nurses and one of his students. With the then President K R Narayanan in New Delhi. Prof Hawking outside a hotel in Mumbai. The British Council, in association with the Tata Institute of Fundamental Research, organised a public lecture by Prof Hawking titled 'Science in the Future' at the Shanmukhananda Hall in Mumbai. 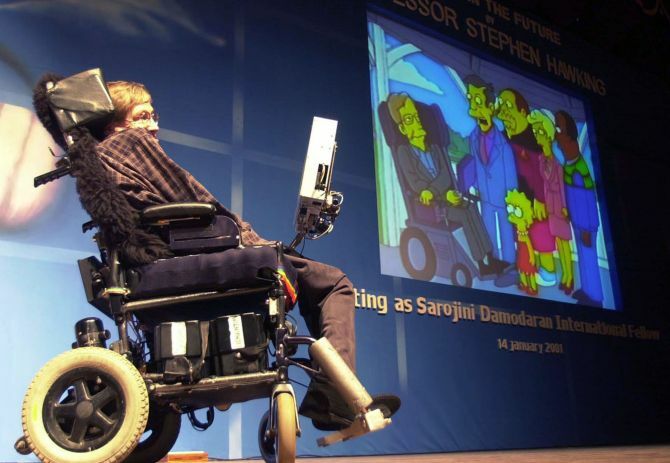 Prof Hawking displays a cartoon of himself with characters from the famous television serial The Simpson Family during his lecture 'Science in the Future' in Mumbai. Hundreds of people attended the lecture.